Large, air conditioned, open plan area with kitchen, dining and lounge facilities, (the lounge has a sofa bed for additional sleeping). 2 air conditioned bedrooms, (1 double and 1 twin). Both have en suite facilities and terrace. The air-conditioned kitchen features: cooking hob, fridge/freezer, microwave, dishwasher, washing machine, toaster and kettle. There is also a Barbecue. 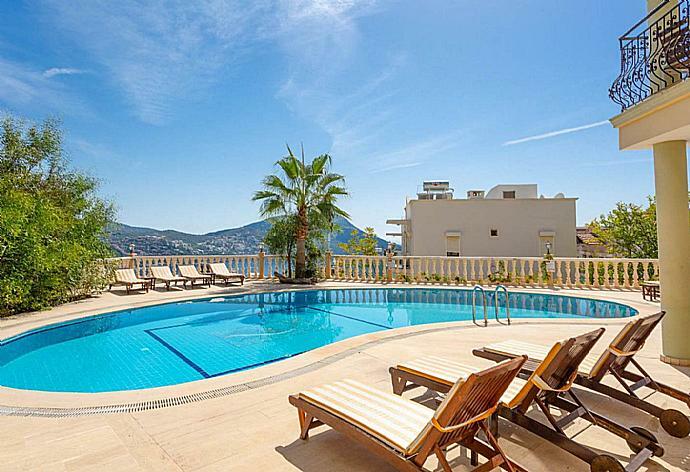 The villa is in a small complex of similar villas and apartments in a quiet residential part of Kalkan. The well-tended gardens helped provide additional shade during the hottest parts of the day. The owner and her family were friendly and helpful and the villa was clean and exceptionally well equipped. The walk into Kalkan was about 15 minutes but quite hilly though taxis were plentiful if needed. Lots to see and do either by organised tours or as we did via car hire from Dalaman. Highlights for us were Patara and Kaputas beaches Xanthos ruins and the Green Lake at Gombe. Overall a good holiday. Had a great time again. Many thanks to Songul and her team. 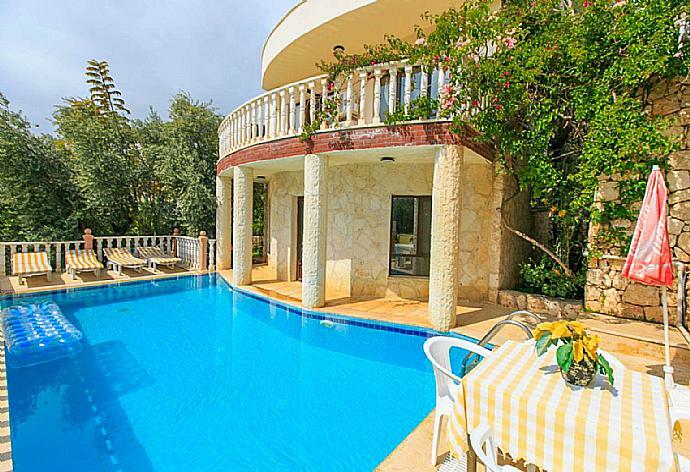 Beautiful villa,the photos don't do it justice. Just the right amount of privacy. Grounds lovely and very well maintained. Staff very helpful. Perfect for a family of up to 4. The pool is perfect with both sunny and shady areas. Kalkan is a wonderful small town and the harbour area is great for evenings out. Lots of different restaurants to choose from some of which are exceptionally nice and all are reasonably priced. We had wonderful holiday in Kalkan. Our accommodation was excellent. The views from villa were great a very nice swimming pool which is suitable for kids. Air condition units were installed in every room and the cleaning staff was very friendly. 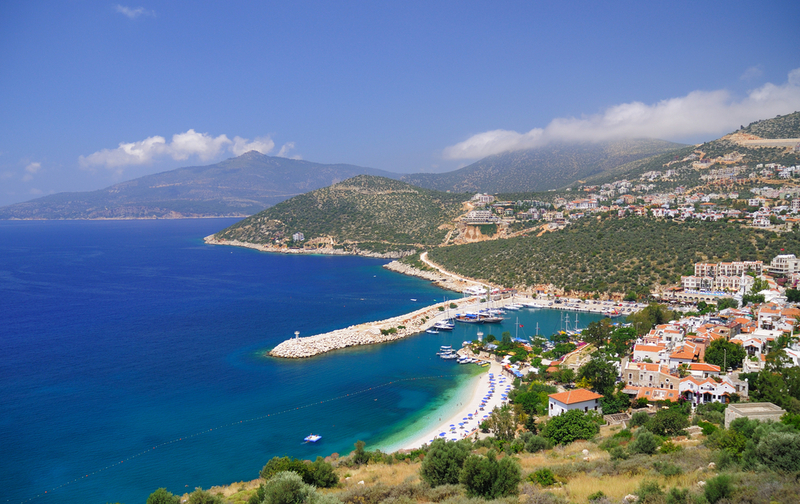 Kalkan is a very beautiful and friendly place to visit and we will certainly come back and stay in the same villa. It was our first visit to Turkey and hopefully wont be our last. Value for money in every sense. A great short break. 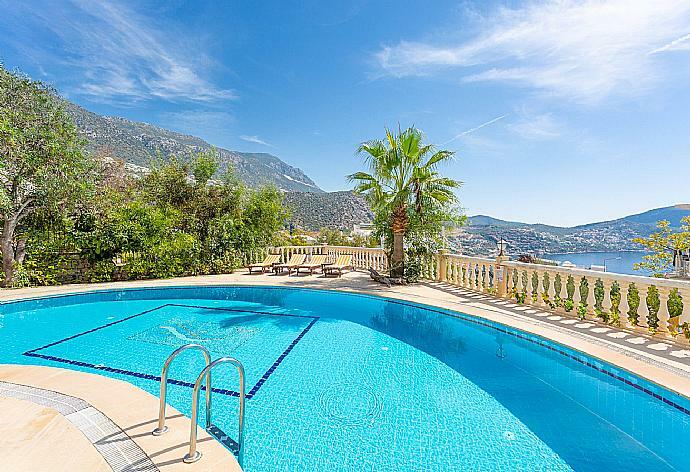 The villa offered good value for money and a quiet location during the October half term..
Kalkan is a beautiful town with Ottomen era character. 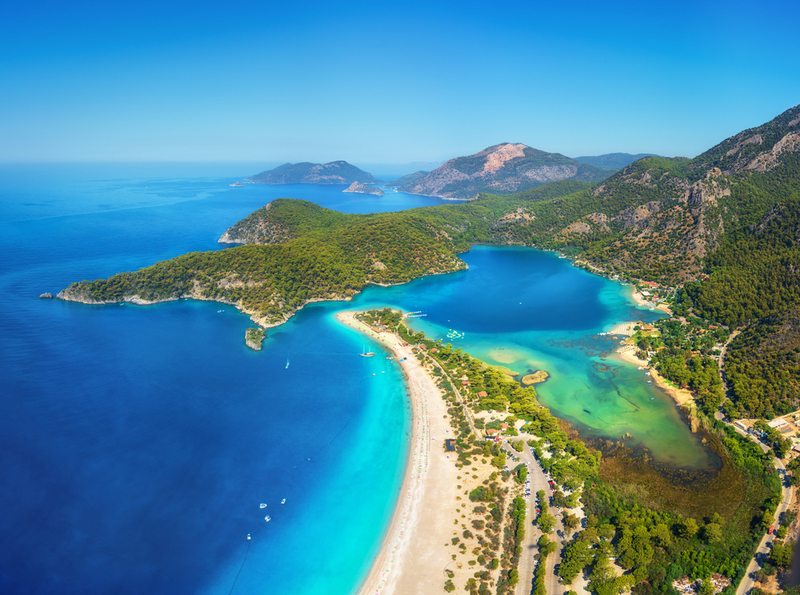 Once a Greek fishing village called Kalamaki, it is now a friendly holiday resort offering its visitors a wonderful experience of Turkish hospitality. The waterfront has a selection of restaurants and bars to relax & watch the boats in the harbour or you can shop in one of the many shops selling local crafts and gifts.